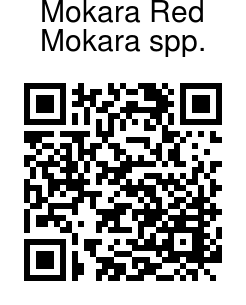 Mokara is an artificial hybrid generic name. It derives from the combination of ArachnisX Ascocentrum X Vanda. 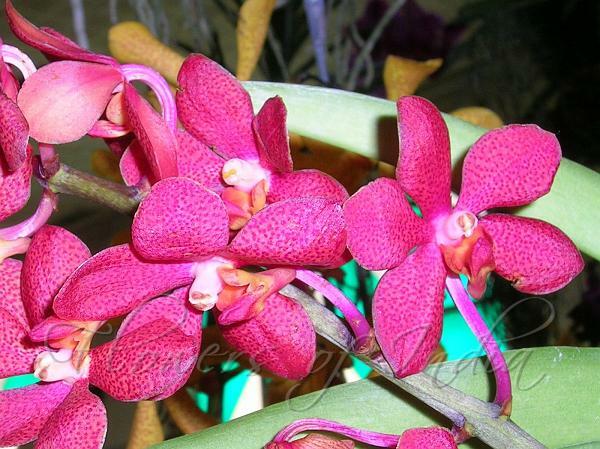 The first Mokara Hybrid was Mokara Wai Liang ( " Arachnis Isable X Ascocenda Red Gem) It is namd after C.Y.Mok of Singapore, who registered the first such hybrid in 1969.The plant form is a combination of those in hte three parent genera. In general it seems very similar to that of Aranda. Mokara Hybrids are now the more popular cutflowers when considering the non- dendrobium type flowers. Cultivation and propogation are very similar to those for the arandas.